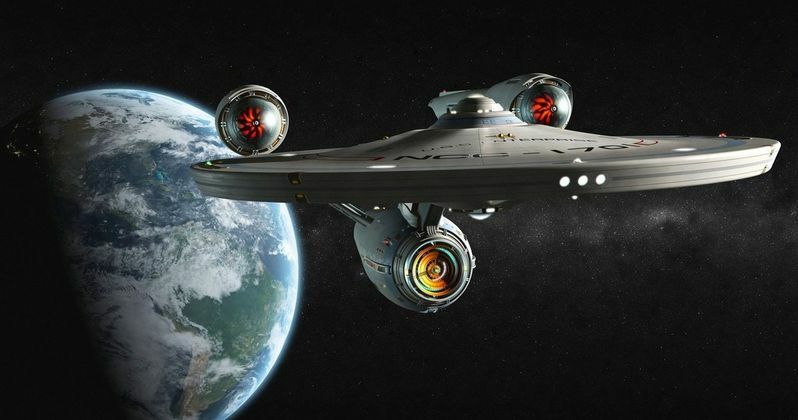 What's Really Happening with the New Star Trek TV Show? This year marks the 50th Anniversary of the beloved Star Trek franchise, which will be celebrated on the big screen next month with the release of Star Trek Beyond, the third installment of Paramont's rebooted movie series. The franchise will also go back to its roots on the small screen, with a new TV series debuting this January with a special preview on CBS, before coming to the new streaming service CBS All Access. Showrunner Bryan Fuller recently spoke out and shot down some rumors that had been circulating about the series. Bryan Fuller signed on to serve as the showrunner and executive producer back in February, which wasn't too surprising, considering the writer/producer got his start writing for Star Trek: Deep Space Nine and Star Trek: Voyager. While speaking with MovieFone at the Saturn Awards, Bryan Fuller debunks a number of rumors swirling around the show, including that it's an anthology series and much more. "I mean, it's funny. I've read that we're [set] before Next Generation, after [Star Trek VI: The] Undiscovered Country, which is false. I've read that it's an anthology show, which is not accurate. So it's interesting to see those suggestions, and seeing the truth mixed in with them and going like, 'Oh, they got that part right...' But it's sort of on the truth-o-meter on PolitiFacts. It's sort of like some truth, and a lot of like, 'No - pants on fire! That's not true.'" No plot details have surfaced thus far, but the first trailer that surfaced in May revealed the new logo, while teasing that this show will explore crews, villains and new worlds we haven't seen before. Many fans got excited that "crews" was pluralized, but while Bryan Fuller wouldn't clarify how many different Star Trek crews we could be seeing in the show, he did have this to say about the format of the first season. "No, I think we will be seeing lots of crews in the story. One of the things that is exciting for me is that we are telling a Star Trek story in a modern way. We're telling a 13-chapter story in this first season. It's nice to be able to dig deep into things that would have been breezed passed if we were doing episodic and had to contain a story to an episode." Bryan Fuller added that, despite the fact that the show will air on the CBS All Access streaming service, the show will air weekly episodes, instead of the Netflix approach of putting an entire season available for binge-watching all at once. No cast members have been confirmed quite yet, but with the January premiere date looming, hopefully we'll hear more about this show very soon. Stay tuned for more updates on this highly-anticipated Star Trek TV series.